Heat oven to 400°F. Line large cookie sheet with cooking parchment paper. 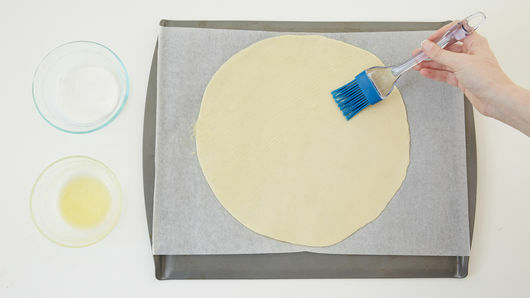 Unroll pie crust on parchment paper. Spread melted butter on top of pie crust; sprinkle with granulated sugar. 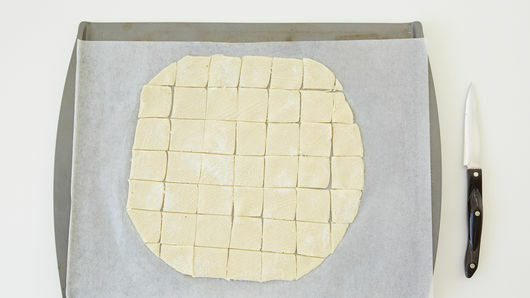 Cut into 1 1/2-inch squares, then pull apart 1/8 inch. Bake 10 to 14 minutes or until golden brown. Cool completely on cookie sheet. In medium bowl, mix ricotta cheese, cream cheese, powdered sugar, vanilla and orange peel. Beat with electric mixer on medium speed until creamy. Reserve 1 tablespoon chocolate chips for garnish; stir in remaining chocolate chips. Sprinkle with reserved chocolate chips for garnish. Refrigerate at least 15 minutes before serving. 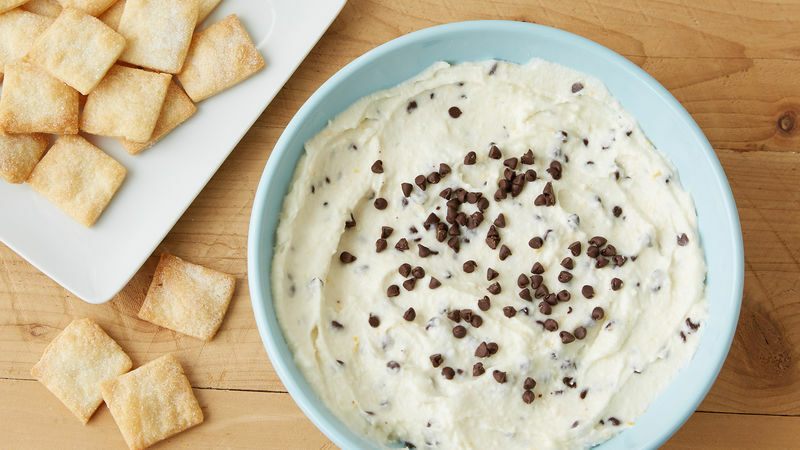 Serve dip with pie crust squares as dippers. For a special presentation, use white sanding or decorator sugar to sprinkle on pie crust. Strawberries are also good dippers to include. Make the dip a day ahead; cover and refrigerate.